Our annual Holiday Clearance Sale continues through January 9th. Save 50% on all holiday décor. This is your chance to snag some great buys and stock up for next year. 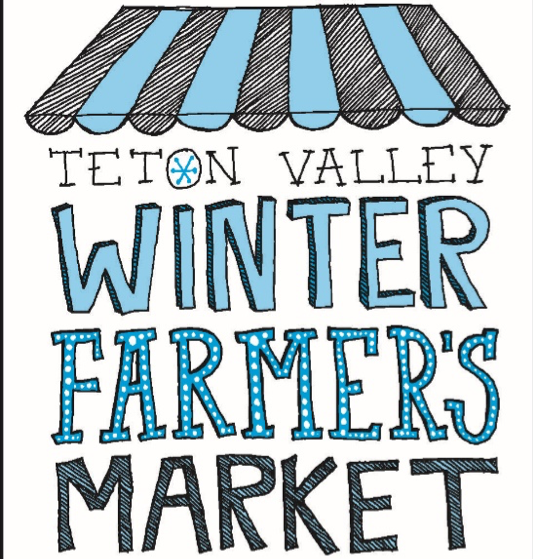 The Teton Valley Winter Farmer’s market returns for its second season beginning January 2nd. Kick off the New Year in our heated greenhouse with local honey, ceramics and prepared foods. Fill your tummies with tempting baked goods, eggs, locally made cheese, preserves and meat. Enjoy live music from 11-1 each week featuring local artists each week from 11-1. The Winter Market will continue every Saturday from 10:00-2:00 through March 12. ‘Plant’ your tree outside. Go out and stick it in the snow. 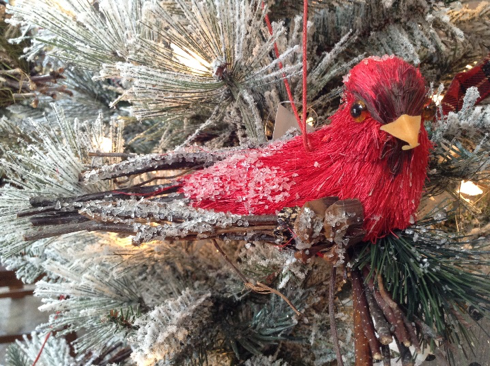 Birds love evergreens for protection in the winter months. This is also a great way to visualize any future tree placements! Use the boughs as cover. Do you have a spot near your house that is always bare in the winter? Use the boughs as insulation for perennials flower beds where snow cover is unreliable. Make coasters and trivets. Saw the trunk into ½ inch rounds, sand until smooth and coat with polyurethane. These make a great gift. Feed the fire. Make it a party and burn it in an outdoor fire pit. It’s best to wait a few months for the wood to dry out. Solstice party anyone? Recycle it. 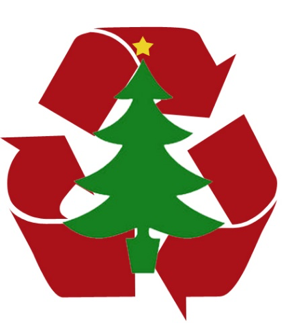 Drop off undecorated and tinsel-free trees for free at the rodeo grounds in Jackson any time before the end of January or, for a small fee, recycle it at the transfer station in Driggs. Keep your room as bright as possible. Raise blinds and open the curtains as much as possible. For sun-loving plants such as succulents, consider moving them to a brighter spot to maximize the light they receive. Keep room temperature between 60 and 70. 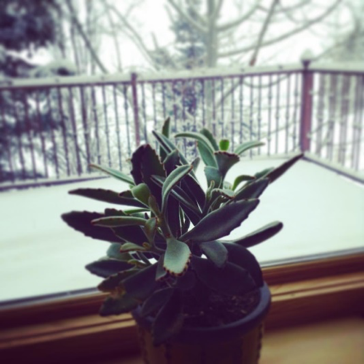 Keep plants away from drafty windows or doors. Conversely, keep them away from wood stoves and hot air vents. Night time temperatures on the cooler side is best. Increase the humidity. Group plants together and mist frequently. Use a commercially made pebble tray or place a layer of pebbles in the saucer underneath the plants to raise the humidity. Water and fertilize less. Plants enjoy a time of rest in the winter months, so fertilizing is not necessary. The potting soil should be completely dry before watering. Use tepid water, and water slowly until it seeps out of the drainage holes in the pot. Give them a shower. With plants that can be easily moved, bring them to a sink and hose them off with tepid water. This gets rid of dust and small insects such as spider mites and aphids. When your houseplants are in good shape, you’ll also improve the air quality in your home for your plants and for you! 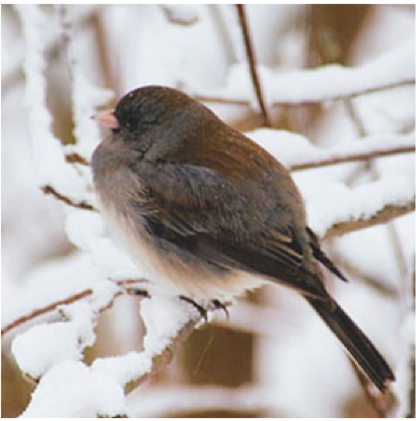 Fill new bird feeders about half full until birds start to notice it. That way, the seed won’t spoil as you wait for birds to find your feeder.